Once again the Notting Hill Carnival tops the billing in the long list of great things to do in London over the August bank holiday. But there's so much more on offer in this annual swansong of summer - including food and music festivals, street food pop ups and urban beaches. Secret hideaway in West London with green foliage and a covered dining area for 850. Following its first summer, when Pergola Paddington proved to be a big hit, the fashionable food court is back. This secret hideaway in the heart of West London comes with a covered dining area for 850, four food outlets and seven comfy day beds on the top deck terrace - perfect for soaking up the sun. Bringing green foliage to Paddington's urban surrounds, the two-floor space serves food by burger legends Patty & Bun and Mexican fast food specialists DF Mexico, as well as new additions including shredded duck restaurant Canard and Vietnamese barbecue masters MAM. You can book in for free for as many as 199 people or simply walk in on your tod, no booking required. A multi-arts extravaganza with comedy, circus, cabaret and more. The unrivalled Underbelly Festival returns to South Bank, between the Southbank Centre and London Eye, from April 2018 and they're pulling out all the stops, presenting over 70 shows for their 10th birthday. In a temporary theatre - surrounded by street food and one of London's biggest outdoor bars - you'll find London's largest programme of affordable comedy, circus, cabaret and children's shows. Festival highlights this year include a six week residency by Circus Abyssinia which makes its London premiere with Ethiopian Dreams. There's more high flying circus with Circolombia, comedy from Austentatious: An Improvised Jane Austen Novel as well as big names like Nina Conti and James Acaster. Children will enjoy Aliens Love Underpants and The Amazing Bubble Man but for something completely different go see The Thinking Drinkers: History of Alcohol or Festival of the Spoken Nerd: You Can't Polish A Nerd. Enjoy the Thameside beach with white sand, palm trees and pastel painted beach huts. After a successful inaugural season last summer, Neverland London returns in 2018, relaunching as Fulham Beach Club. London's only Thameside beach, it provides the chance for a cheeky staycation with white sand, palm trees and pastel painted beach huts offering a unique, affordable alfresco experience. Food comes courtesy of Jimmy Garcia's pop-up restaurant, the BBQ Club, while two bespoke bars serve up cocktails and beer. There will also be a Bottomless Beach Brunch every Sunday - encompassing bottomless prosecco, cider and frozen pina coladas - yoga and circuit sessions on the beach, cocktail masterclasses, glitter artists, sand sculpting and a myriad of games, including croquet, shuffleboard, putting pong and table tennis. Bookable areas include cabanas, daybeds, beach huts, feasting tables and a private dining room. Classic favourites and new releases are screen al fresco. The rooftop is transformed into a dystopian version of Las Vegas. The Queen of Hoxton has been given a makeover once again, transforming into The Lost Vegas Rooftop just in time for summer. One of east London's most popular party destinations, the rooftop has become synonymous with good times and this season is set to be no different. This year's theme invites guests to Las Vegas, but not as they know it. A dystopian playground set in the year 2030, Lost Vegas comes after a revolt that saw the US rise up and stick it to The Man. Eco-warriors and neo-hippies have charged towards a brand-new future, where plants and animals flourish and jungles consume the ruins of cities that are now co-habited by animals, birds, plants and a new breed of eco-conscious humans. Visitors to Lost Vegas will be able to meet Elvis in the overgrown Little Vegas Wedding Chapel, feast on a McVegan burger served from an abandoned yellow school bus bar, play the slot machines, and purchase goods from the vending machines, which are stocked with everything from craft beer to wedding rings. Cocktails come from Three Dots and Five Miles Brewery and further food items include an Out N In Burger, a veggie Xora Dog and a Phoney Island Chilli Dog. There will also be a series of sustainability-themed immersive events and workshops throughout the season. Fly through the sky at up to 50 miles per hour on the fastest zip wire in a big city. Zip Now London gave us a thrilling ride through the London skies last summer and this year it's back and it's giving us a triple treat. That's right, adrenaline junkies, there's an additional wire this year so three people can ride on the fastest zip wire in a city, side by side. They've also added a new 'Mega Drop' so you can freefall to earth to round off the adventure in style. The rides go on until 8.30pm, so you can zip through the air at up to 50 kilometres per hour, one hundred feet above Archbishop's Park (that's the height of more than nine double decker buses), as the sun sets. Located in south east London, close to Waterloo, the wire is perfectly positioned for stunning views of the Thames, Big Ben and the Houses of Parliament, all experienced at the speed of a downhill ski racer. NOTE: the minimum age is eight years, children from eight to 15 years need to be supervised and one adult can accompany up to three children. Four months of street food, art, music and clue solving. The much-loved Last Days of Shoreditch is back for its eighth year in 2018 with three months of street food, art, music, karaoke, and sport on one of the biggest screens in London. 'The Enchanted Garden' sets the tone so you'll find a tropical beach area, swinging hammock beds and a tree-house at this summer hotspot. Expect summer cocktails and craft beer bars alongside street food from Seth Troxler's Smokey Tails, Cheeky Burger and pizza from Crust Bros. The dance floor is soundtracked by a star-studded DJ line-up. One of the many highlights is the return of the XOYO Saturday daytime takeovers throughout July with Late Nite Tuff Guy plus a who's who's of talent including Eli Escobar, Alexis Taylor, Dan Shake and Normay Jay. Step into the Wild West at this immersive pop-up bar. Step into the Wild West at the Moonshine Saloon, an immersive Western cocktail bar experience on the King's Road. The space has been suitably transformed into a Wild West Street, including a tailor's shop where guests will be fitted with a Stetson hat a cowboy gear. Guests simply need to turn up with a liquor of their choice, which will grant you access to the world of Moonshining. Your liquor will then be transformed by a world class team of mixologists into four cocktails to be served during your experience. There will also be the chance to play a game of cards or two and interact with a series of intriguing characters. A summer hub of live entertainment, food and drink. London's largest free festival, the London Bridge City's Summer by the River transforms the iconic riverside location into a summer hub of live entertainment, food and drink. Running from June through to September, the summer festival's line-up includes free outdoor cinema at The Scoop kicking off with The Greatest Showman on Tuesday 25th June. Further outdoor screenings include La La Land, Guardians of the Galaxy and the summer lovin' Grease, celebrating its 40th anniversary this year. There's big screen summer sports (including Wimbledon, Ascot and the cricket), theatre, live comedy and music performances, fun family days, fitness classes and a host of events to let your hair down on a Friday. Star crossed lovers are put centre stage at the biggest production Secret Cinema have ever produced. For the largest experience they've ever produced, Secret Cinema puts star crossed lovers centre stage as Shakespeare's Romeo Juliet is made immersive. They're recreating Verona Beach at a secret outdoor London location in the spectacular, immersive way that only Secret Cinema can. Live bands, DJs, choirs and actors take on the legendary characters and feuding families, with the themes of peace, redemption and salvation explored. 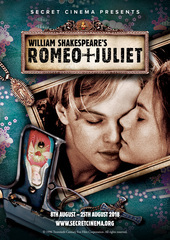 As many as 5,000 people a night, each of which can expect to get fully immersed in the action, are transported to a world where the most memorable moments of Baz Luhrmann's film become reality and Shakespeare's story is told in a way you've never seen it before. Expect an evening of two halves - the first a festival style affair with acting, partying, feasting and drinking, the second a magical showing of the 1996 classic - and a summer of live music, shared song, mass dance and sunlit romance. Try your hand at crafts activities, with live music and immersive theatre thrown in. A festival for makers and doers, MAKEMORE is a new summer jamboree in Victoria Park where you can try your hand at crafts activities, with live music and immersive theatre thrown in. An uplifting festival where you eat, drink, socialise and have a go at making something, take part in bushcraft activities with The Exploration Society, turn wood with Barn the Spoon or venture into the world of model animation with Wallace and Gromit creators, Aardman productions. Create your own posters, join a printing workshop, see how tiny house building is done, learn how to throw a pot and join Whelans Weaving for a live interactive art installation. Foodies are very well catered for too with Angela Clutton pulling together a who's who of published talent from Charlotte Pike, award-winning food writer and author of Smoked, to Masterchef's Dhruv Baker. Performing arts include a mix of cabaret, comedy, burlesque and puppetry from Frantic Assembly, Little Angel Theatre and Polka Theatre, supplemented by live music from London choir, Some Voices. The ultimate bouncy castle experience for adults. They gave us The Beast last year and now they're back with more Bank Holiday fun and this time they're bringing The Monster, the ultimate bouncy castle experience for adults. Arriving at Alexandra Palace for four days over the August Bank Holiday, the popular inflatable assault course proves that bouncy castles aren't just for kids. The Monster is over 300 metres long with 42 brand new obstacles including an 18 metre mega slide, a tunnel of love and The Bouncy Cage of Doom. Added to that there's street food, refreshing super-cocktails, craft beers, DJs, giant adult ball pits and other crazy fun activities. Escape to Ibiza without leaving London with this four-day summer series. Concluding the summer in style, Madison London is transporting Londoners to Ibiza with The White Isle Weekend. The four-day spectacular boasts a series of Ibiza style parties and live DJs, kicking off with the internationally renowned Evo & RST who will close their summer tour on the St Paul's rooftop on Friday. Saturday will see the returns of Madbrunch with Madison's resident DJs London Beats while Sunday will boast everything from funk and house to 00's RnB. On Monday, wind the weekend down with DJ Dave Silcox and a menu of brunch dishes. 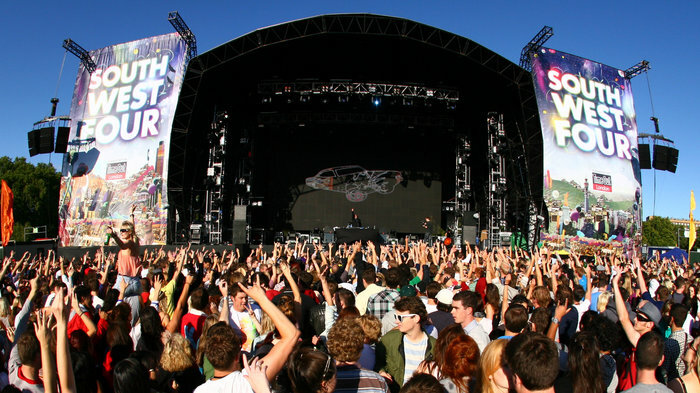 Two days of top class dance music on Clapham Common. Michel Roux Jr, Nadiya Hussain and Melissa Hemlsey will be cooking up a storm in the demo kitchen. Taking place over the August Bank Holiday weekend, the Hampton Court Palace Food Festival comes to Hampton Court Palace giving visitors a great selection of food to sample and expert tips from well-known cooks and chefs. This year welcomes Michel Roux Jr, Nadiya Hussain, Lisa Faulkner, Melissa Hemlsey and Dr Rupy Aujla who'll take part in live cooking demonstrations. The festival also offers tastings and masterclasses, pop-up restaurants, book signing opportunities and over 100 producers of speciality foods. Feast on street food, enjoy afternoon tea, sip on cocktails, quaff Champagne from pop-up bars and leave time to visit Hampton Court Palace - all tickets include free entry into the beautiful home of King Henry VIII. Fairground rides, communal feasts, roller skating, dog shows and marching bands. Horrible Histories, a marching band and roller disco come to Smithfield Market on the August Bank Holiday weekend for a free two day festival to celebrate 150 years of the historic Victorian market. It's being billed as "the biggest birthday party in the capital's history" and 30,000 Londoners are expected to enjoy fairground rides, communal feasts, roller skating, dog shows, marching bands, a procession of large scale puppets, ping pong, pop-up markets, glitter stalls, dressing up as well as food and drink as stalls are set up along Long Lane. There's even a special area for under 5s who get their own mini-festival. Join in at the printing and stencilling workshops run by Anorak, explore the hidden histories of Smithfield and see a travelling cinema on wheels as Kino Van presents a film on the centenary of women's suffrage - a prominent theme at the festival. Around 50 stalls pitch up to sell a wide variety of food and drink. The Wimbledon Park Food Festival returns for its fifth year this August Bank holiday, bringing 50 stalls of food and drink to the south London venue. Visitors will be able to feast on everything from artisan bread, pastries and crepes to smoked BBQ pulled pork, cheese and charcuterie. There will also be a Talks and Tastings Hub with a full programme of chefs and food experts (book in advance) while on Sunday a special evening session will offer beer, ale, cider, gin and wine tastings. Add to that special children's activities, and there's something for everyone. Two-day festival of Caribbean culture is Europe's biggest street party. The home of horror returns putting a frightening twist on the long weekend. FrightFest puts the horror into this August bank holiday weekend with five days of screenings at Cineworld Leicester Square and Prince Charles Cinema. The home of horror, the festival has been running for 18 years and has rapidly grown in popularity. Audiences can expect to be scared witless with a devilishly delightful line-up of premieres, previews and special screenings of fantasy and horror films. Zombie films, cinematic apocalyptic visions of the future and revenge thrillers fill the festival with the finest films of this genre. This year's line-up includes Halloween, Dead Night, One Cut of the Dead, The Witch in the Window, What Keeps You Alive and many more. From cheap budget places to stay to luxury 5 star suites see our deals for hotels, including Grange White Hall Hotel London from 57% off.